This Q&A article concerning Management Rights QLD has been contributed to by Frank Higginson and Todd Garsden, Hynes Legal. Question: Our committee is considering rejecting the proposed assignment of management rights by the current manager. Our solicitor will engage an “independent” person to make a decision on the suitability of the proposed assignee and has advised the Body Corporate should follow this recommendation. I am seeking information and hope that you can please help. I am the chairperson of the Body Corporate for a 75 town house complex in QLD. We are currently going through the proposed assignment of management rights by the current manager. The proposed assignee has not produced documents (references/qualifications etc) considered relevant or suitable to the position. The committee is considering rejecting the assignment. We have engaged a solicitor to represent the Body Corporate, but the interests of this solicitor appear to be more directed towards themselves and the seller’s solicitors than the Body Corporate. I have been advised, in the event of a dispute as to whether to accept the assignment, our solicitor will engage an “independent” person to make a decision on the suitability of the proposed assignee. When questioned as to who this may be, the solicitor advised he uses a person that is not involved in the Body Corporate or strata management field and in fact, is a quantity surveyor. I was further advised that if the “independent” make a decision, the Body Corporate should follow this recommendation. This process sounds to me, very odd, in the least. Is this the usual practice and is it correct? Answer: Any decision to engage a third party should be that of the committee and no one else. The body corporate’s lawyer should be acting on the committee’s instructions. Any decision to engage a third party (or in relation to the assignment) should be that of the committee and no one else – it may the be advised to recommend that engagement but ultimately that is up to the committee. This post appears in Strata News #241. Question: Our Caretaker’s Management Agreement expires soon but contains an option for the Caretaker to extend for another 5 years. What are our options? Our Caretaker’s Management Agreement expires soon but contains an option for the Caretaker to extend for another 5 years. Our Committee issued a notice for an EGM on or before the expiry date to approve the extension but has since cancelled the EGM without giving notice of another date to vote on the extension. If we don’t extend the agreement by the expiry date, does this mean we will no longer have on on-site Caretaker? If so, can we draw up a new Agreement and sell it to the highest bidder? Also, if the current Caretaker lets the Agreement lapse, what happens to the Caretaker’s Unit which is included in the caretaker’s bank mortgage for the business? I hope you can advise us about our options. Answer: Normally it is up to the manager to choose to exercise the option, and once exercised, the additional term comes into existence. Normally an exercise of an option does not require a general meeting – it is up to the manager to choose to exercise it, and once exercised, the additional term comes into existence (but this depends on the specific wording of the option clause in the agreement). Once an EGM has been called it cannot be cancelled – it has to go ahead. If the agreement comes to an end because the option is not exercised (which seems unlikely) the agreement will not exist and so the manager and body corporate will not be bound by the caretaking agreement. If there is no agreement – that does not mean the body corporate can then sell it – the legislation specifically prevents that. The financing arrangements all depends on how it is structured between the bank and the manager – but ordinarily, the manager would just become a lot owner like all the other lots. Question: Why are Developers allowed to sell a 25 year Management Rights QLD agreements? Why are Queensland Developers the only developers in any state in the world allowed to sell 25 year caretaking/letting contracts that must be paid for by new unit owners for the duration of the contract? The Queensland Government refuse to provide a rational explanation for this fraud on new unit owners. This is an issue that has been going around in Queensland strata circles for decades. Interestingly, before we had the BCCM Act there was no term limitation. The BCCM Act actually introduced a cap on term retrospectively from October 1994. Queensland has the most sophisticated disclosure regime for off the plan sales in Australia. Every single thing is disclosed up front, including the term of management rights agreements. Most would be lot buyers are sold on things other than that minor level of detail and the closest most go to reading the disclosure statement is to understand what the levies are forecast to be. Some don’t even go that far. No one can ever say they were not told what the body corporate arrangements were going to be on completion. There remains a constant source of tension between balancing the obligation to disclose arrangements (which can become voluminous) against the need for consumer protection. In addition, management rights are big business. Changing the fundamental nature of any industry (with tenure being a key part) may well have an adverse impact on values and while that would clearly impact on resident managers enormously, it would also impact on the major banks who also have a large stake in the industry through lending to resident managers. All in all? It is getting harder every day to unscramble the egg. Every so often the government of the day issues a discussion paper on management rights and tinkers with the fringes of the industry. Whether any government could further limit tenure without significantly affecting all of the industry stakeholders remains an interesting question. The single biggest problem with 25 year caretaking contracts is that they deprive the body corporate of their authority over the caretaker. The body corporate is responsible, under the BCCM Act, for control and maintenance of the common property; however, if a caretaker has a 25 year contract he can (and does) thumb his nose at the Committee and the body corporate. The Act provides termination provisions for non- performing caretakers but the Commissioners Office and QCAT continue to cling to the belief that the contract is too valuable to terminate. The Rocks Resort was a recent case where the QCAT member found the most implausible excuse to reject the Committee default notice because the Committee had not allowed the full 14 days for default rectification – by 00.01 of a minute. Albeit hat the exact same wording was allowed by District Court Judge McGill in Patterson v Body Corporate for Palm Springs Residences. If the Government was even half serious about 25 year contracts, it could start introducing 3 year contracts (not retrospectively) and then potential caretakers would not have to borrow from the banks to fund the ridiculous good will that attaches to Management Rights (MR) that cost unit owners millions of dollars over the 25 years. This would allow many young professionally qualified couples to get into Management Rights, thus saving unit owners millions of dollars and raising the tone and level of the industry. But you will never see this while developers are allowed to contribute to political parties. This relates to a QLD scheme approximately three years old. The first motion at the first EGM was to acknowledge the creation of the scheme and adopt the Community Management Statement as lodged under the standard module. The same motion was later confirmed again at the first AGM. I reviewed the CMS and yes, it’s a standard module. That’s important because also at the first EGM the body corporate resolved to enter into a Caretaking and Letting Agreement for 25 years. I reviewed the Management Rights Agreement terms and yes, it’s for 25 years. The problem is, in Queensland body corporate’s registered under the standard module may only enter into Management Rights agreements for a maximum of ten years. That would mean the motion passing the agreement is invalid, since it breaches legislative restrictions, and consequently the agreement is also invalid. When I did the search I asked the BCM about it and their reaction was essentially, “Huh, how about that”. They had no clue as to what to do about it, and neither do I. My question is – what happens next? Who’s to blame and who will suffer? To me it seems a win for the lot owners, a ten year commitment being far less than a 25 year one. But that ignores the almighty dispute that’s likely to erupt. What should the body corporate / lot owners do? One of the biggest differences between the Modules is the maximum length of term a management rights agreement can be for. The Standard Module is 10 years and the Accommodation Module is 25 years. If a management rights agreement purports to be longer than the maximum allowed by the relevant Module it is read down to that maximum term. As an example, if for some inexplicable reason the term was stated to be 50 years, the term would be read down to 25 years or 10 years – depending on which Module applied at the time the body corporate resolved to enter into the agreement. The same thing applies here. The body corporate has only ever been regulated by the Standard Module and the maximum term it could ever grant would be 10 years. Even though the agreement says 25, my bet would be is that it is almost certainly 10. That it surer than a Jonathan Thurston bit of magic in golden point extra time, which was always going to happen on the recent NRL grand final! What has gone wrong? Possibly inexperienced people acting in the set-up of the body corporate and management rights. Someone not checking the detail for the stuff that matter. If the management rights owner has bought it based on there being 25 years, they are potentially going to get a rather nasty shock at some stage when they try to sell and the buyer does proper due diligence. For us, this is one of the major things we always look for, because it can happen. Are you interested in more information about Management Rights QLD Agreement terms or information particular to strata legislation in Queensland? Visit our Building Managers OR Strata Legislation QLD pages. After a free PDF of this article as a resource about management rights QLD? 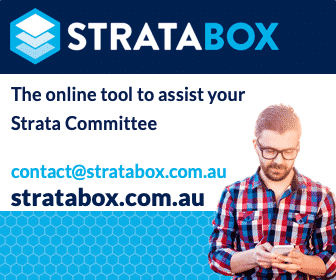 Log into your existing LookUpStrata Account to download the printable file. Not a member? Simple – join for free on our Registration page. Good stuff Frank. I guess whatever happens in Management Rights Business often becomes adversarial. BC. BC Lawyers vs Caretaker vs BC Managers. The individual owners who seek out committee positions to further their own ambitions or personal whims. I don’t believe any system is perfect and unfortunately as people seek their own pathways, often it not always to the benefit of lebara owners. Overall I believe if people commit to the contract it can be of benefit to all owners. Thank you for publishing Todd and Frank’s (Hynes Legal) Answers to a LookUpStrata member’s questions on Caretaker Assignments (Top-ups), Management Rights and Committee Options. The comment on Frank’s views you received from an un-named member commencing “The single biggest problem with 25 year caretaking contracts is……” and ending “….. particular interest as it raises serious issues and proposes possible solutions”. Would you please forward the un-named member’s proposed 3 year contract solution to Todd and Frank for their considered comments….Would you please publish their reply, as many in strata-land would like to read their objective views on this proposed solution. For me, the issues that come with long term agreements – and before anyone asks that is 3 years or 25 years – is how to incentivise performance and the lack of control. Bear with me, because I don’t think anyone will have made this analogy, but management rights agreements can be compared to RBA interest rates. They can be a very blunt tool that is applied to the whole of a sector (or country) without any regard for what the prevailing circumstances might be. As we sit here today the Brisbane property market seems to be holding up. Melbourne and Sydney are falling. But we are going to have the same rate setting applied to them regardless of their individual circumstances. Management rights agreements are the same. If you have a big, investor owned, short term complex, management rights works brilliantly. Absentee owners need onsite management and the consolidation of caretaking and tenancy management (the often forgotten part of the management rights equation) is much better than any alternative management structure. If you have a small, owner occupied, high end complex with lots of active owners, then maybe management rights are not so brilliant – especially if those owners want control over what goes on day to day. The other unfortunate thing that can happen in smaller complexes is the occupants change over time. So what might have started with all absentee owners turns into an owner occupied complex and they are stuck with the same agreement they had from the start. But, and here is where I differ from the anti-management rights brigade, and even some crusader lawyers, what I think should happen with term is academic. My job is to play with the cards we have been dealt and navigate that to the best of my ability no matter who I am acting for. What we have is a system that has been created over nearly 50 years and is now supported by a unique set of laws for Australia. We have thousands of people who have invested in it. We have the concentrated banking sector of this country owning (in effect – through debt) probably at least half of it, if not more. And that is a very large egg to try to unscramble, because if there is any change that affects values (such as retrospective term limitation) then financial carnage will ensue. And while the government may not care as much about the individual owners of management rights as I might, they will care about affecting the banks, especially in this post Royal Commission / APRA environment. And while management rights could possibly be ‘ubered’ it is not the monopolistic situation that the taxi industry had. Owners do have choice. Their choice just may be delayed until existing agreements expire. But with long term security does come the potential for laziness. If you offered me 10 or 25 years’ worth of guaranteed income for doing my day job, I could drop my rates, maybe not work as hard (such as typing this email at 5:30 am on a Tuesday morning) and play more golf. The security I have for any instruction I get is zero. Clients can terminate us with immediate effect with a phone call or email. Hence I need to continue to strive and impress. That keeps my business running. Despite what some naysayers may say, management rights agreements do get terminated for cause / default. I have seen it quite a few times. Only the people in the buildings involved see that happen because these contractual arrangements are not public. What the public sees are the contested terminations, and in those disputes, the bodies corporate are almost always the losers. Why? The reasons are many and far too large for this forum and quite often specific to the individual matter. Sometimes it is the legal advice, and sometimes it is the cause. Sometimes it is because the committee comes across in evidence (be that in writing or in person) as crazy, and as much as that should not influence the consideration of a decision maker, it can. What could happen is more active ‘move on’ provisions. If a service provider is not providing the services they have been contracted to offer, then having the ability to wedge that provider out and get a new one through some form of move on would have to be preferable to a termination dispute. But that then starts with the body corporate acknowledging that there are management rights agreements, people have invested in them, and termination is something that will be strenuously resisted because of the substantial loss. Obviously, there is a bit of devil in that detail, but that is what I think could be an alternative to QCAT being littered with the carcasses of bodies corporate. The other one, and this is also a difficult thing to draft, is some form of payment tied to performance. KPI’s in any system are going to be subjective, and this is no different. I have flirted with this a few times over the years and at this stage, it gets too hard very quickly. But the one thing we can all be sure of is that if there is a horse in the race called self-interest, you have to back it every time because it will be trying its hardest. The difficulty is aligning the interests of bodies corporate and managers with respect to that self-interest. Interesting that only 2 negative responses. I have committees who continuously bully the caretaker, committee people who represent only their own interests, including pushing their family businesses to do BC jobs. I have seen corrupt BC Management Companies who (despite being on 1 to 3 year contracts punch owners with fees. Staff of these companies rewarded for milking more fees from the buildings they look after. The issues are complicated and it seems to me neither the law nor government can get it right. The legislation must be amended to disallow caretakers in any way lobbying or influencing the election of committee members. When elected by the caretakers contrivance at each AGM, the lot owner occupiers are without any voice whatsoever in relation to non performance of caretaking duties. and other management issues. At our complex, no committee meetings have physically been held for over 1 year, no correspondence is responded to from lot owners, and the caretaker continues to organise through its landlords the continual extension of the 25 year contracts. The government doesn’t care either. It is a fraud on Lot owners that such actions are still permitted by the out of date legislation. This needs to stop. There is no recourse for owners stuck with these bland caretaking contracts and it is costing owners financially. Future potential owners are not aware of these 25 year agreements which the caretakers constantly require top-ups when their term reduces down. There is lack of performance management clauses in these agreements. The Qld legislation needs to change…..3 year agreements is the way to go.